When you were a teen, did you wish you could chat with national leaders, or meet influential educators, musicians and scientists? 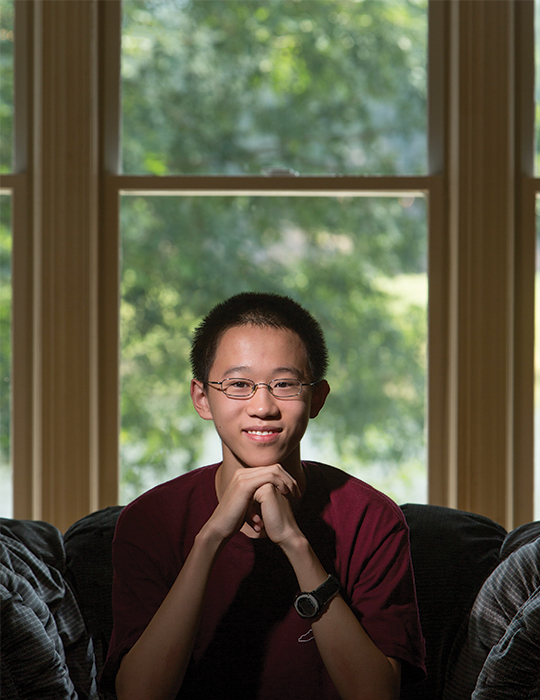 Justin Z. Luo of Cary, 16 years old and the 2014 valedictorian at William G. Enloe Gifted & Talented Magnet High School, has done just that. Chosen along with 140 other high school seniors to be an esteemed U.S. Presidential Scholar, Justin earned a place in this national program which recognizes students’ academic achievements, leadership and community service each June in Washington, D.C.
His all-expense paid visit to D.C. was a “big deal,” Justin said. He also met past Presidential Scholars, some of whom conduct cutting-edge cancer research and excel at top colleges and universities, using their skills for the good of our country. In Justin’s application process, he named Dr. Christopher Lyerly, his math teacher at Enloe, as his most influential teacher, for two reasons. 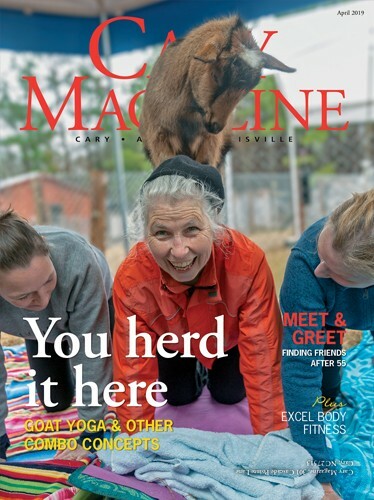 Lyerly, who taught Justin two college-level math courses, uses that humor to captivate students’ interest and make difficult subjects, like calculus, come alive. Lyerly also mentored Justin as he captained the Enloe team to two national Quiz Bowl competitions; slightly akin to Jeopardy, Quiz Bowl includes questions from almost all academic fields. Justin’s profound interest in math competitions such as MATHCOUNTS, American Mathematics Competitions, and the N.C. State Math Contest competition was triggered by his mom, his first teacher. “She loved to help with my math studies,” Justin said, aiding him with MATHCOUNTS problems for an hour a day when he was 7 and 8 years old. After he surpassed her guidance, Justin studied independently through an online math site, artofproblemsolving.com, classes he describes as “very important” for math competitions in high school. He even answered students’ online questions from eighth through 12th grades. Justin’s mother and father taught him Chinese poems at age 2, and he became fluent in the language of his heritage. He also enjoyed classical piano competitions for seven years, practicing an hour a day. His dad, an engineering professor at NCSU, “loves to brag” about him, Justin admitted. Besides his mother and father, he lives with his younger sister, Sophia, who he says “understands him.” Maybe it is a competitive bond; they share a huge awards showcase in the family’s home. Although he says he didn’t keep late study hours, Justin studied about 40 hours a week and earned a 5.5 weighted GPA in high school, taking 16 Advanced Placement classes. Justin enjoys giving back to the community, as a teacher’s assistant at the Raleigh Academy of Chinese Language for MATHCOUNTS prep class. He also volunteered with two Enloe service clubs, the Key Club for three years and Beta Club for one year. All of his academic rigor, leadership and volunteer work paid off when Justin was awarded a full Duke University scholarship, presented by Duke math professor Dr. David Kraines. Lyerly notes that this was the first time a Duke professor personally came to award the scholarship in the last 15 years. This summer, Justin is reviewing differential equations and learning the computer language C. He also has plans to begin learning linear algebra and organic chemistry. At Duke, Justin will study biomedical engineering and math and hopes to conduct related research.